You may not have realized how many coordinated collections there are under the Oscar umbrella. It makes adding to the look so easy and fun – supplement with as little or as much as you like – the layering is key. 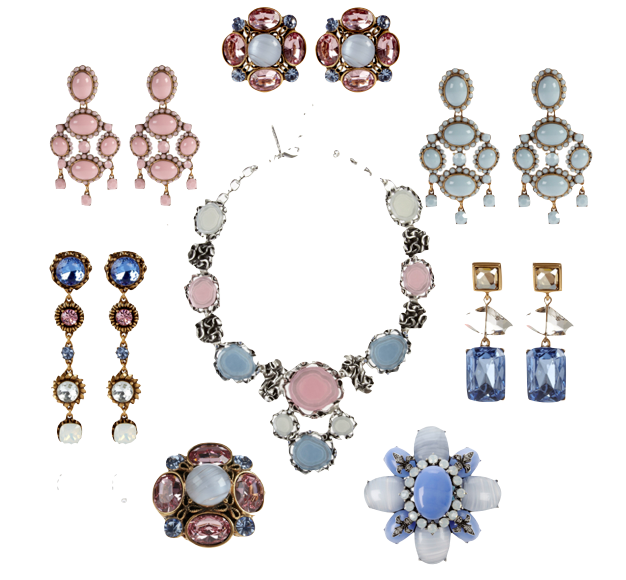 Oscar de la Renta’s fashion jewelry line is a bold take on accessorizing. 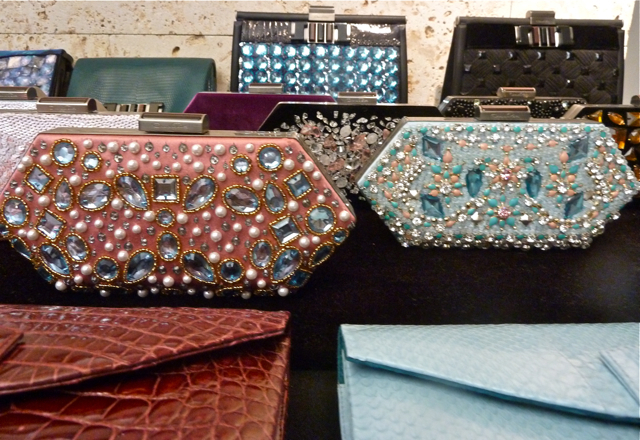 I adore the chunky statement quality of the pieces that can hold their own against the embellished styles of the season. Take a look at some shots from the runway to see how it’s done. Naturally, color coordinated with the collection, ice and rosé were the color story du jour. And don’t take it all too seriously – that’s why it’s called fashion jewelry!! 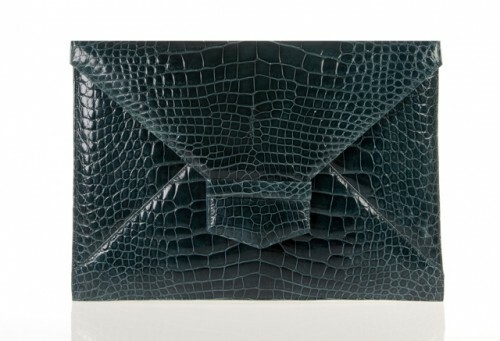 Dress it up or down – just don’t leave it lingering in your drawer for special occasions only. 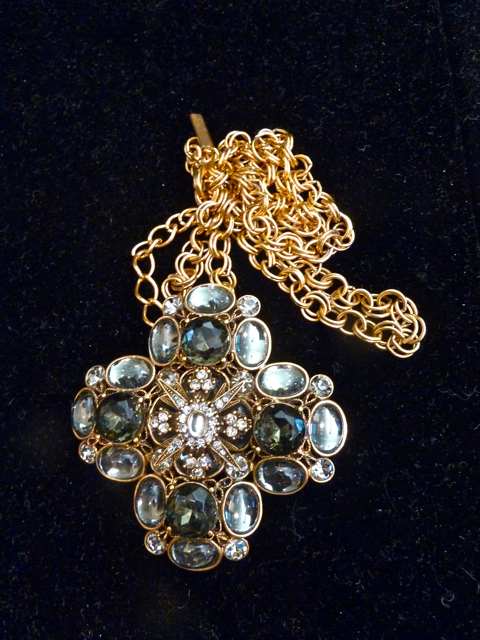 Many of the fabulous pieces like this are convertible so you can wear them as brooches or as necklaces. And pin it on more than just a jacket – a brooch is great for securing a cape, wrap (see the runway shot on the left) or even a fur! Be brave, take a chance, and don’t forget Tony Duquette’s mantra – sometimes more is just right! 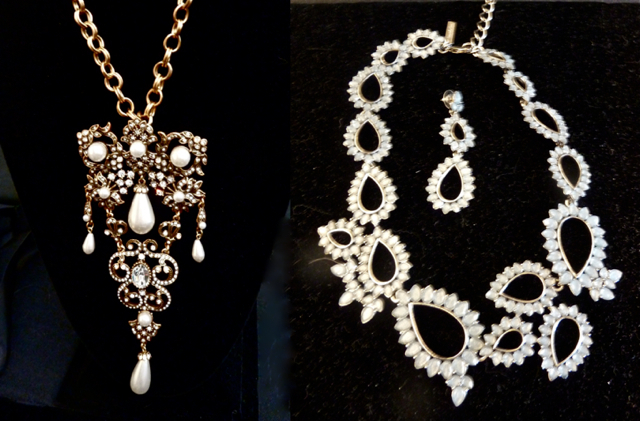 These beautiful pieces would take any outfit from so-so to sensational! 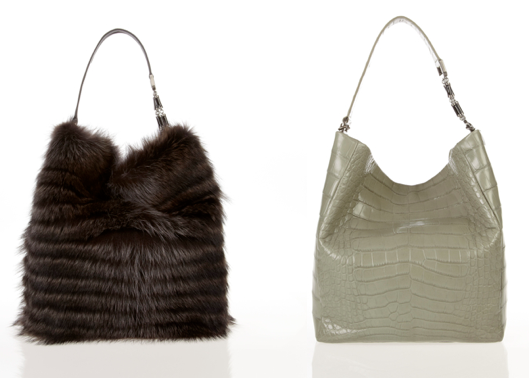 The color story continues with the bag collection. 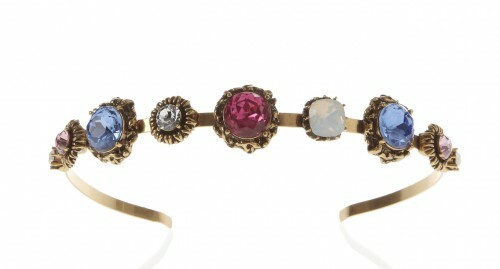 Jeweled minaudieres were shown in ice and rosé and a host of unadorned shades as well. But yet again, if I had to choose, it would be one of these luxurious hobos – simple, elegant, perfect!! As with any runway show, the shoes were an integral part of the presentation. They transform classic sheaths to modern style statements. 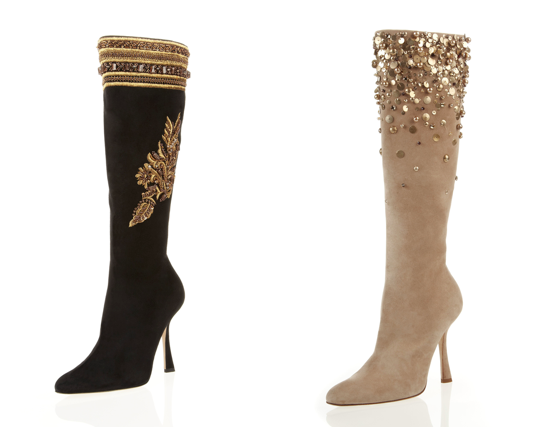 The fabulous Eva bootie you saw yesterday comes in several incarnations. And the Bella boot continues to tell the dominant color story as well. 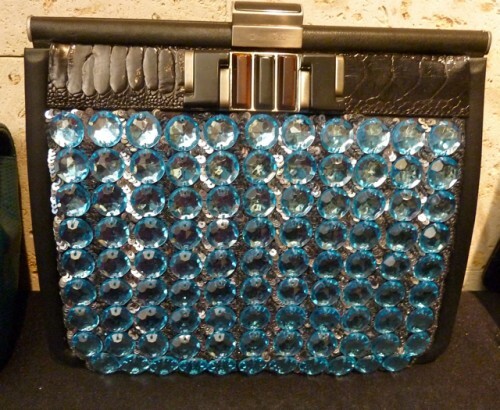 This entry posted in bags, fashion, jewelry. 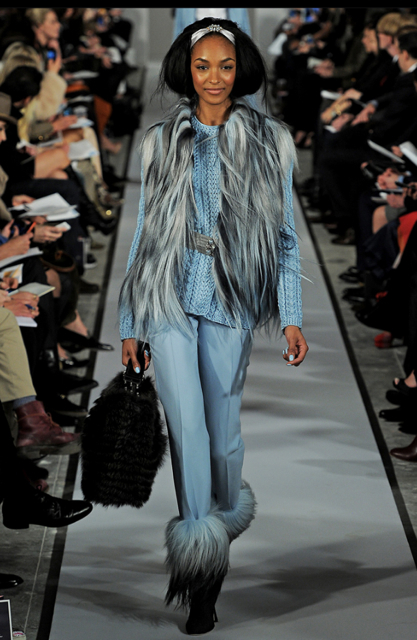 Entry Tags: Fall 2012 Fashion Collections, fashion, Handbags, Jewelry, Oscar de la Renta, Oscar de la Renta bag collection, Oscar de la Renta jewelry collection, Oscar de la Renta shoe collection Bookmark the permalink. Was this not the happiest day imaginable? I’m drooling over the necklaces, earrings and shoes. Wowsy. And to add to the greatness of the day, aren’t the people at the showroom so, so wonderful?!? 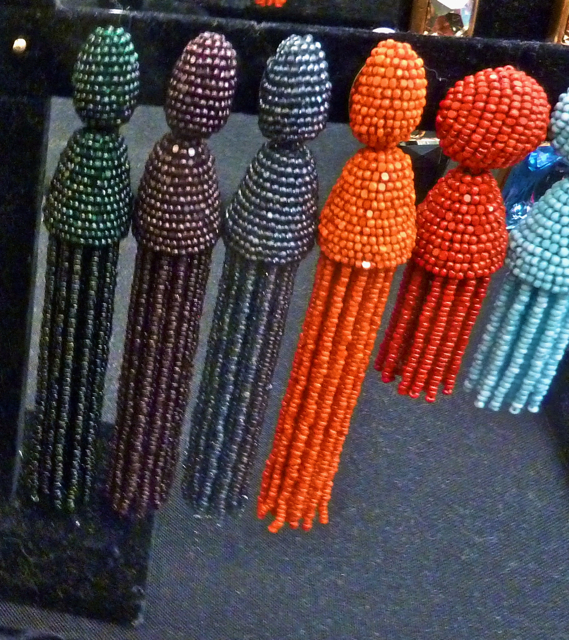 I’ve been dreaming of a pair of those classic tassel earrings in turquoise blue. Perhaps it’s party of my craving for brighter blue skies. A little or a lot of Oscar always seems to be just right! 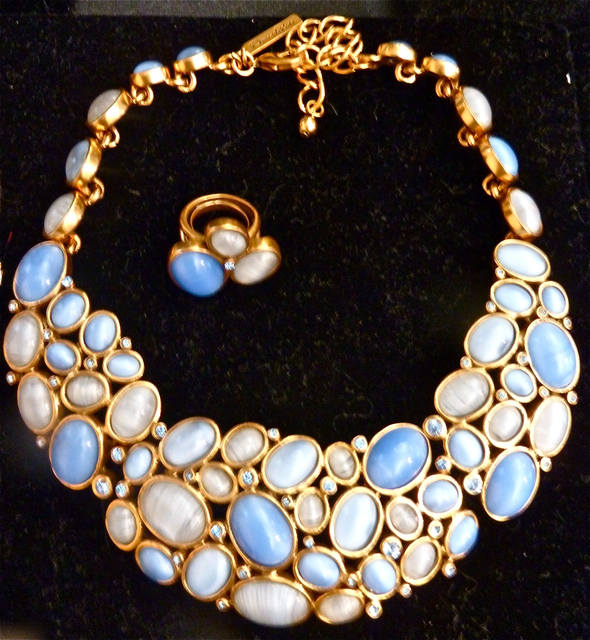 Tony Duquette’s jewelry adds panache to anything it touches! I’ll admit that after yesterday’s post I hopped on to French ebay wondering if maybe, for some reason, Oscar would be less-known here and that by some miracle, there would be an inexpensive find or two. Uh, no. The boots! Arrggh. I can’t quite imagine the life one would have to need them but it is fun to dream, isn’t it? I want them all… each and every piece!! It’s not fair that I should have champagne taste and a food stamp budget… not fair at all!!! I’m truly loving these Oscar de la Renta pieces, Stacey! What amazing accessories…adore the tassel earrings and of course, for me the shoes…love them all!! As always, the jewelry is making me drool. I like the vintage feel to it and agree, sometimes more is just right. Love his take on the tassel earring trend going right now. My favorite look is the first one, with the kind of wrap around the top of the coat. Chic. 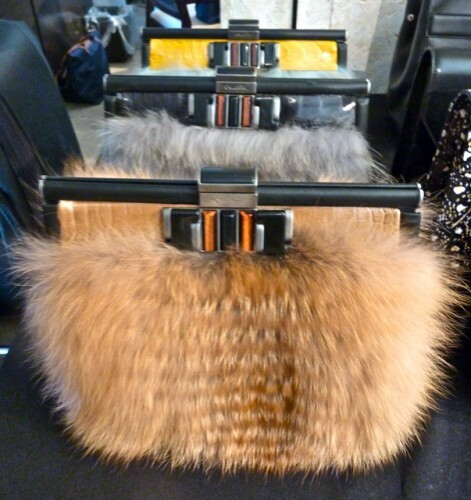 Love the furry bags and jeweled headbands! I adore Oscar and how he creates such elegance and don’t even get me started on those jewels…and those shoes! How fun next Fall will be with all those powdery blues. Stacey, what a fab post! Thank you for sharing your favorites and user friendly suggestions on how to wear and pair. 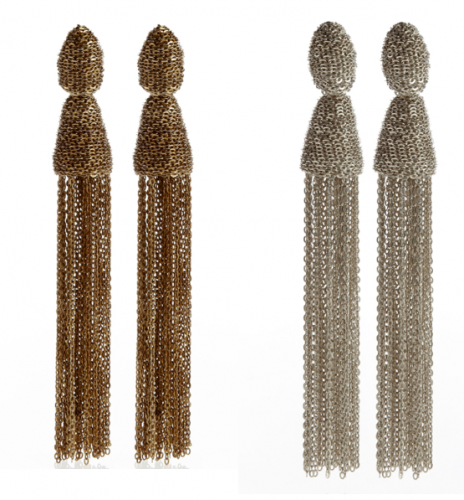 I am putting the tassel earrings on my wish list! So perfect I love to go classic in attire and then wow with unique, fabulous accessories! 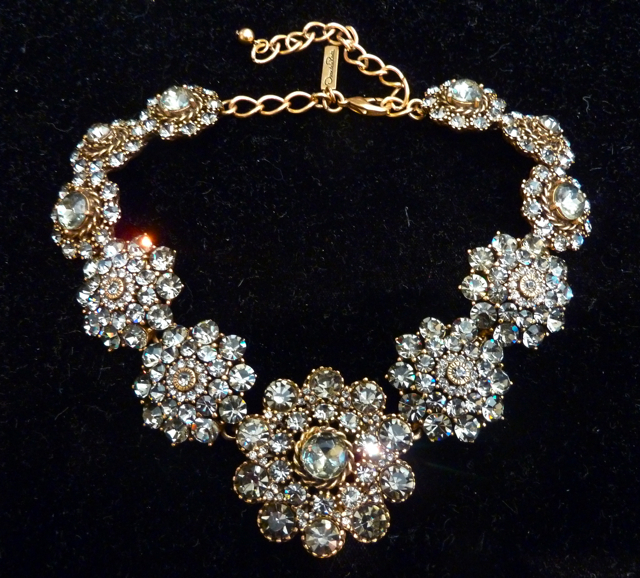 Any of these beautiful accessories would make an outfit stand out! 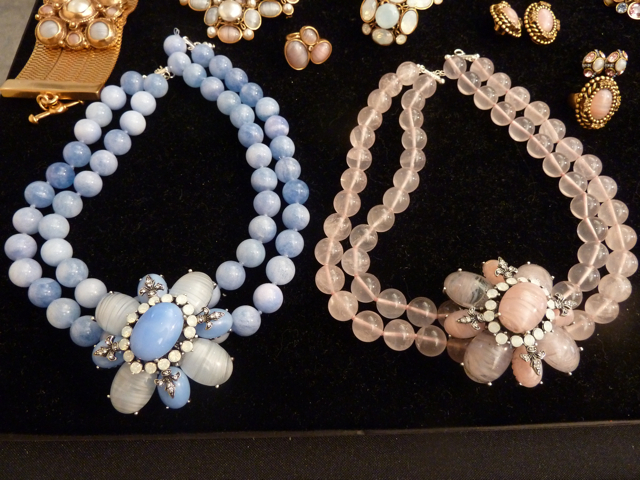 The top necklace reminds me of one owned by the Duchess of Windsor and she certainly had great taste! 78 queries in 0.850 seconds.